Every customer receives the highest-in-quality service and professionalism. Give us a call at 952-925-2843 today! We provide a wide range of quality services from turf maintenance, Spring and Fall clean ups to snow removal services. Looking for quality and affordable lawn services? 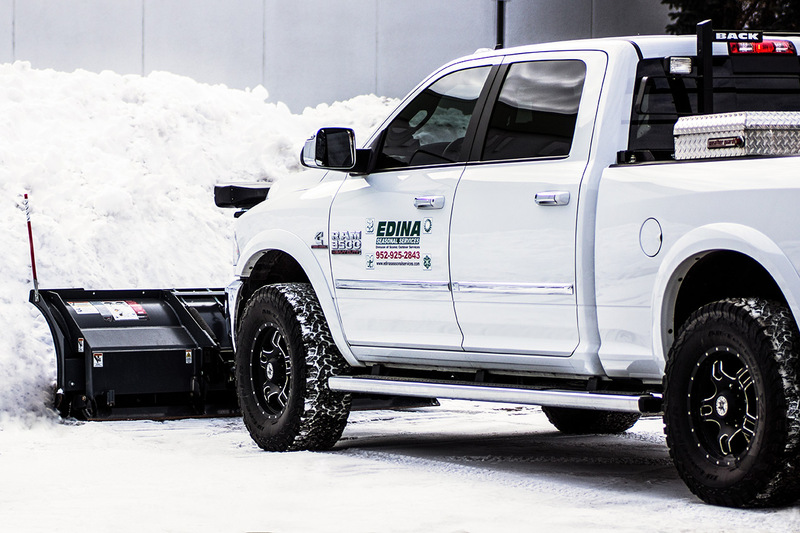 Edina Seasonal Services has provided tested-experience and professionalism for the past 38 years. We offer our customers the highest quality lawn care and snow removal services available in the Southwest Metro area. We are focused on providing only the best in residential and commercial lawn care and landscape maintenance services. Whether it’s fertilizer, Spring/Fall clean up, mulch installation or snow removal, give us a call so we can discuss your project(s). Need a new lawn, our sodding and seeding services we’ll get you started. 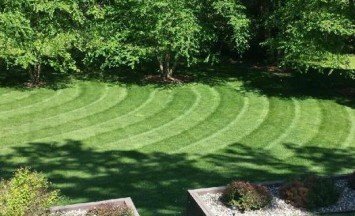 Licensed through the Minnesota Department of Agriculture, we’ll get your lawn looking great. We’ll power blow all your landscaped areas and remove all your debris. Storm left debris or buckthorn taking over your lawn, we’re there for you. We offer start-up, blow out and seasonal adjustments for your irrigation system. From shrub trimming to mulch installation, we have you covered. When it comes to snow, don’t get stuck in your own driveway! We NEVER use sub contractors. Have a home project? We have a roll off dumpster for you! Thank you so much for the beautiful yard clean-up! I am so pleased with the work done at our house today. Everything looks so fresh and wonderful. It couldn’t have turned out better! Thanks for the great snow plowing and shoveling service! 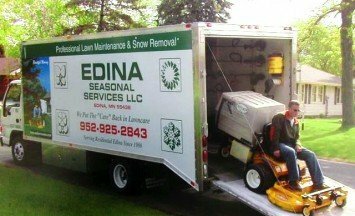 I use Edina Seasonal Services for both lawn care and snow removal. I could not be more pleased with the quality of their services. Their crews are always prompt and thorough. We have been customers of Edina Seasonal Services for years and would not choose another company. They are AMAZING in every way…dependable, polite and immaculate in their work. Our lawn ALWAYS looks INCREDIBLE.